A popover is a special thing. It's that puffed-up, hollow globe related to the pancake but also to the muffin; all custardy insides and a craggy crust that tastes of browned butter. I’ll make a pilgrimage for a good popover, especially the slightly salty kind: malty on the outside and steaming with herb butter when the top is pried apart. At 195 Falls Road in Shelburne, Rustic Roots turns out popovers that rank among the best. Bonus: I get that warm muffin-pancake sided with soft-poached eggs, home fries, housemade coffee-maple sausage, and thick slabs of Canadian bacon. My popover love started at age 18. This old upscale American restaurant in my college town placed a hot, unadorned popover at the table after you ordered your meal — like a complimentary bread basket, but more ethereal. The insides were swollen with sweet butter. The server would give me an extra dish of butter alongside it — butter that was already soft and laced with flaked salt. Every once in a while, I’d elbow up to the bar alone — this was one of those sneakily luxurious, covert operations, the kind most enjoyed solo. I’d order a $9 bowl of soup just to get the popover. The server, who doubled during lunch hours as the silent yet kindly bartender, would place an extra popover on my plate — as if she knew my previous three meals were peanut butter sandwiches, the last one on bread ends. Early in February, I was reading slowly through American Food, the writer Evan Jones’ magnum opus of American food history, first published in 1974. (Fun fact: Jones was a longtime resident of the Northeast Kingdom with his wife, the legendary editor and cookbook writer Judith Jones.) I learned that popovers are an American recipe borrowed from classic British Yorkshire puddings: custardy, egg-batter muffins cooked in pan drippings that became popularized in England in the 17th century. Nowadays, pan drippings are more often subbed for butter, and popovers are an equally welcome accompaniment to breakfast as they are to a soup lunch or traditional roast-beef dinner. 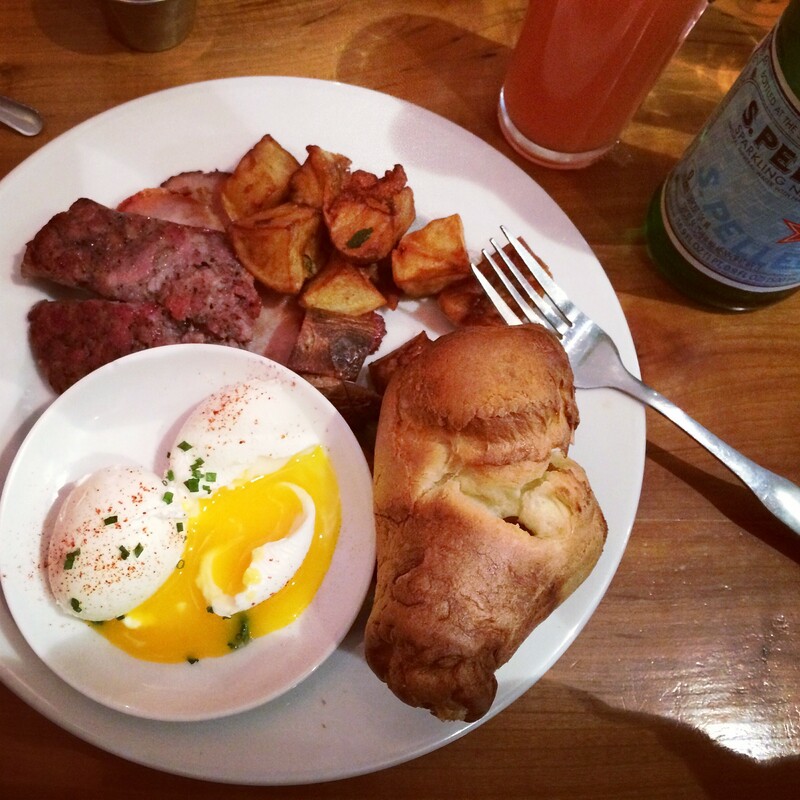 American Food sparked a popover craving that had me at Rustic Roots the following morning. Elbowing up to the bar once again, I ordered my Rustic breakfast ($12) of poached eggs, coffee-maple sausage, Canadian bacon and a delicate popover still hot from the oven. I split the popover with my fingers and ate one half buttered, the other half fortified with a mean housemade orange marmalade. Fresh-squeezed grapefruit juice came alongside. There was no special occasion for my Wednesday morning decadence — just a rare, nostalgic, insatiable craving.